There are no optical instruments that are more widely used than the binoculars. They come in different shapes, sizes, and designs that they are used for so many functions. This variation in design and function has presented a challenge to most people in terms of choosing the right binoculars for your work. 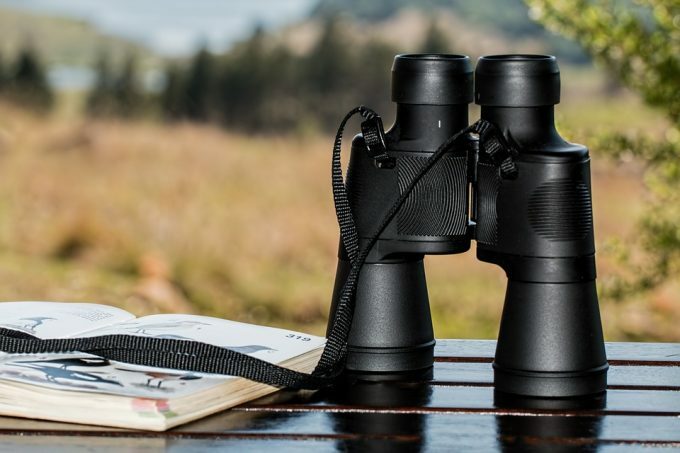 Each type of binoculars has a specific function and this guide is aimed at helping you to better understand the applications of each one and helping you choose the right one. There are things that you will have to consider such as when, where, and how often you plan to use the binoculars before purchasing one so that you will make the right selection that will properly fit your needs. By the end of this article, you should know how to choose binoculars for whatever your needs are. 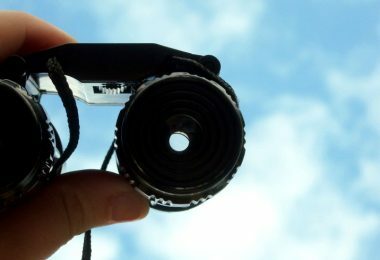 There are different types of binoculars that are currently available in the market. 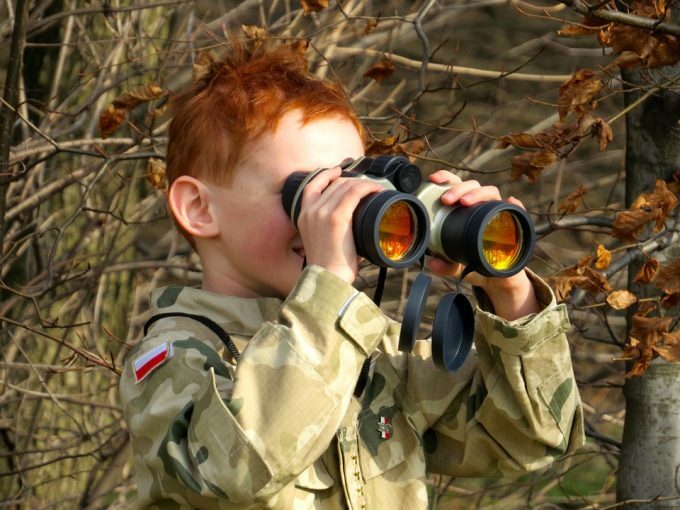 To help you make an informed buy, we will look at the types of binoculars and the function of each one of them. These are binoculars that are used for several activities. They are often regarded as the multi-purpose binoculars. They are used at events such as hiking, stadium sports or outdoor activities. The binocular is compact and has a wide angle making it perfect for outdoor activities and getting close to all the action happening in a stadium. The binoculars usually have a magnification range of 7x to 10x. The compact binoculars are very easy to handle and can be easily stored in your pocket and they can also be strapped around your neck. The wide angle of this binoculars gives the user a very good field of view during events or activities. 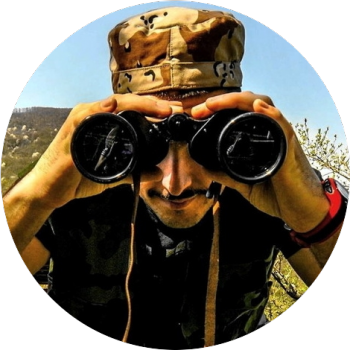 The best binoculars for hunting have a magnification range that is between 7x to 10x. For long range shooting games though, the best magnification ranges between 12x to 16x. If the magnification is larger than this, then you will have to use a tripod to stabilize the binoculars to ensure you hit the desired target. If a tripod isn’t utilized, the images from the binoculars will be shaky. 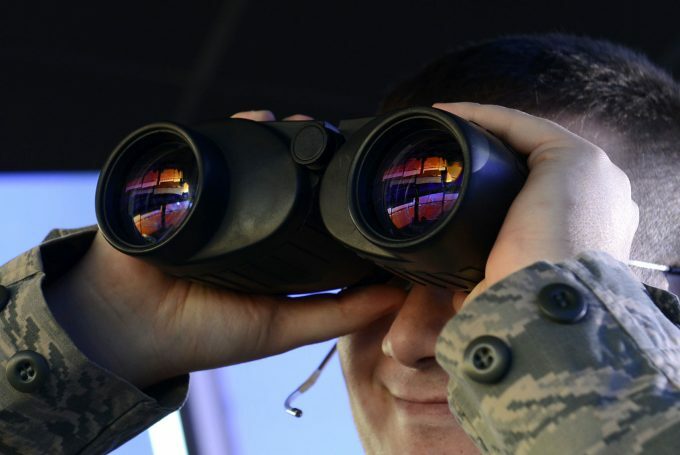 The best type of hunting binoculars is actually dependent on the distance you will cover while hunting. The standard binocular for bird watching is an 8×42 binocular. 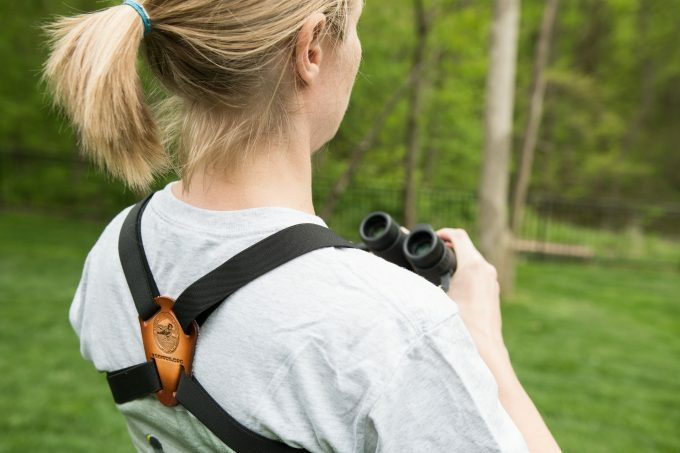 It allows you to see the birds clearly and observe closely the features of the birds. For smaller birds though, there is need to use a 10x or a 12x magnification with a 42 or a 50-millimeter objective so that the details can be seen clearly. There are other features of your binoculars that will make your birding more efficient such as longer eye relief and a close focus. The magnification of water related activities is low. A higher magnification on water surfaces will make the images to be blurry. The most commonly used magnification in this scenario is 7x, 8x and 10x. 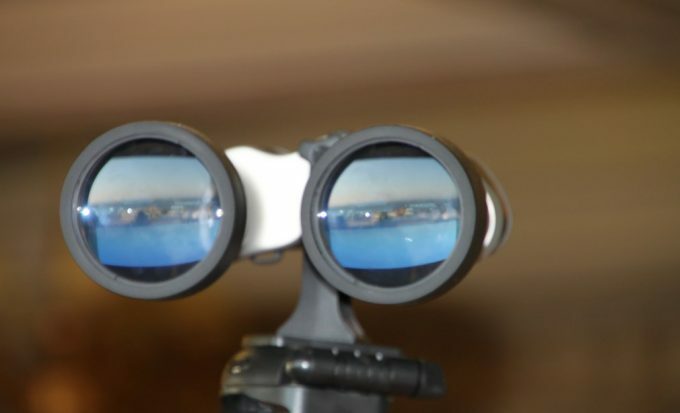 This is the magnification chosen by most mariners and boating experts as it allows them to get a perfect view of the activities from afar. The objective lens advised for marine binoculars is either 42 or a 50 millimeter. The main features to look for when purchasing marine binoculars are a larger objective lens, waterproof and rubber armoring. Compact binoculars are also employed in theaters or concerts. The compact binoculars have a wide angle with characteristics like 4×30, 5×25, 8×25, and 7×18 or 7×21. These specifications are perfect for venues such as theaters, operas. And musical concerts. 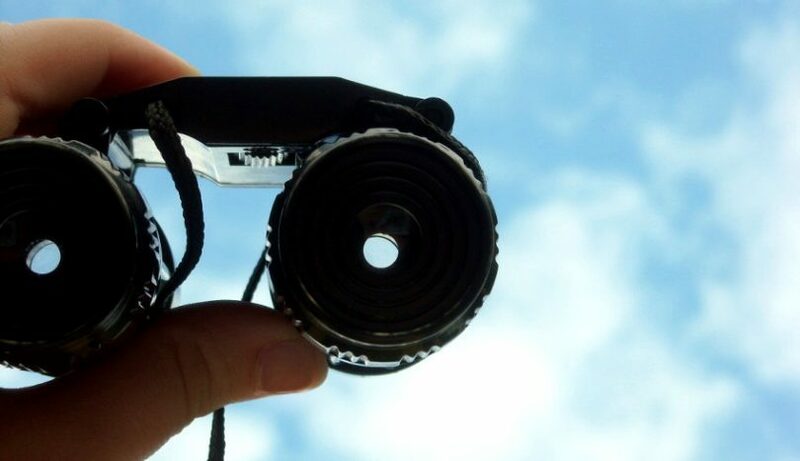 The viewing of these events is perfectly suited for this type of binoculars. 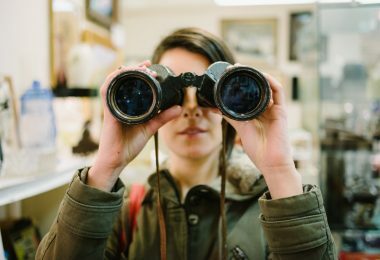 In order to get the best binoculars to suit your purpose, there are certain features to look out for. When shopping for binoculars, you will come to realize a wide range of prices on similar looking styles. However, they differ in specs and features. Having a knowledge of those specs such as magnification, objective lens diameter and exit pupil will help you identify the better ones and thus purchase the best one for your need. Here are the features to look out for. 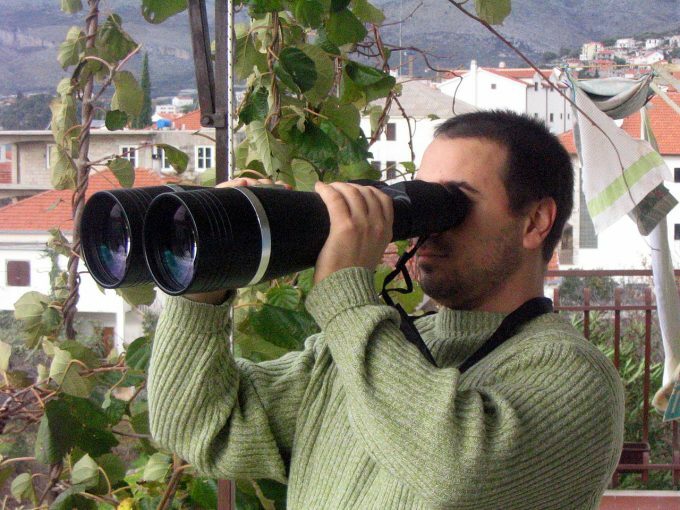 Binoculars are manufactured with a variety of sizes and having various outdoor functions. To know the best one for your needs, you will need to have an idea on the different sizes. Full-Size (with specs: 8 x 42, 10 x 50): These binocular sizes are perfectly suited for viewing wildlife and birds. They can be used on boats and by mariners. The full-size binoculars capture more light and have a high performance in rather low-light situations. The images produced by this binoculars are steadier and they have a wider field of view than the others. They are however big and heavy for backpacking. The mid-size (with size 7 x 35, 10 x 32): This is often considered as the best size. The binoculars with this binocular size have multiple functions as they are used both in wildlife activities and for sporting events. They are a bit heavy for backpacking too but they have a moderate size and a very good light transmission. Compact size (with specs 8 x 25, 10 x 25): This binocular size is best suited for daytime activities. They are the lightest and smallest binoculars and easy for backpacking. However, they do not provide comfort for an extended period of use unlike the two earlier reviewed. The magnification power of the binoculars is its most important feature. 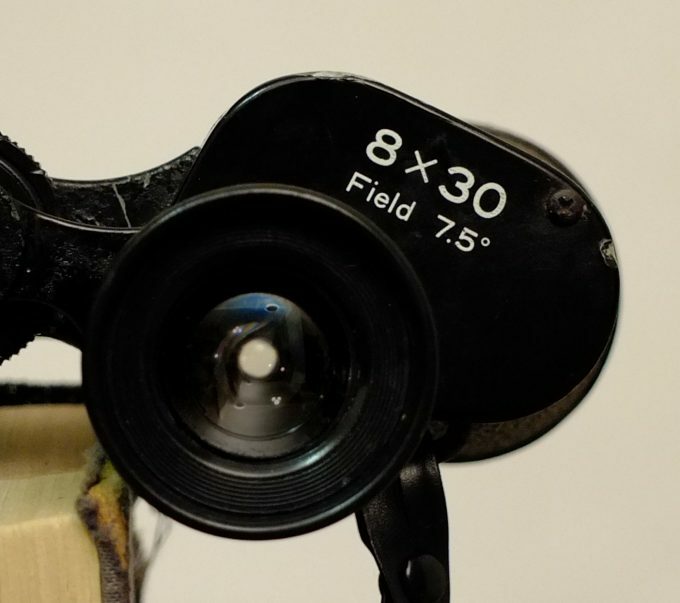 When writing the specs of a binocular, there are two numbers attached, the first is the magnification power while the second one is the lens diameter. For example, 8×40 means the binoculars has a magnification power of 8. The magnification of 8 implies that the binoculars will bring the object in view 8 times closer to your eyes. The higher the magnification, the closer the image will appear. However, a very high magnification power has effects like amplifying the movements of your hands, making steady viewing difficult and the image might be blurry. This is the second number that appears on the binoculars spec. The number is the diameter (usually measured in millimeters) of the objective lens. From the example above, the binoculars have an objective lens of 40mm. The diameter of the objective lens is an indication of how much light the binoculars can gather whilst viewing. Thus, two binoculars with the same features except for objective lenses, one with a larger diameter objective lens will capture more light compared to the other one. The more light captured by the objective lens simply means a much brighter view, especially in low-light situations. The exit pupil number is an indication of the brightness level of the object being viewed in low light conditions. When the number is higher, it means that the image being viewed will be brighter. A large exit pupil makes it very easy for the full image to be maintained even when the hand holding it shakes or moves. The exit pupil usually measured in millimeters is calculated by dividing the two numbers on the specs: objective lens diameter divided by magnification power. For example, 8×40 binoculars will have 40/8 exit pupils which are equal to 5mm. A binocular that has an exit pupil below 7mm is not that good as it restricts the light available to the eyes in low-light conditions. For night time viewing and low light conditions, a binocular that has an exit pupil of 7mm and above is recommended. For daylight viewing, however, the low exit pupil is preferred. This is due to the fact that in bright lights, the human pupils tend to narrow to roughly 2mm. Binoculars with an exit pupil of 5mm or less are recommended in this situations. Relative brightness is similar to exit pupil as it also measures how bright an object appears to your eyes. The higher the relative brightness number, the brighter the object will be viewed. This feature is very useful in dim conditions. The relative brightness of a binocular is determined by squaring the exit pupil number. If a binocular has an exit pupil of let’s say 5mm, then the relative brightness of that binocular will be 25. Manufacturers have made us aware that binoculars having exactly the same pupil number do not always have similar brightness level. This is because there are other features like prism type, lens elements, component quality and optical coatings that contribute to the brightness level of a binocular. The eye relief is the distance the eyepiece and your eyes while the entire field of view is visible to you. A binocular with a long eye relief adds comfort by allowing you to hold the binoculars at a reasonable distance away from your face. The eye relief feature is very important for those who wear glasses. The recommendation by most manufacturers is for those wearing glasses to roll down the rubber eyepiece collars before they view. An eye relief of 11mm is best for those who wear glasses. This feature tells you the width of the area that you can view with the binocular at a glance. A binocular with a wide field of view is best for bird watching. The science behind this is that the higher the magnification, the narrower the field of view will be. 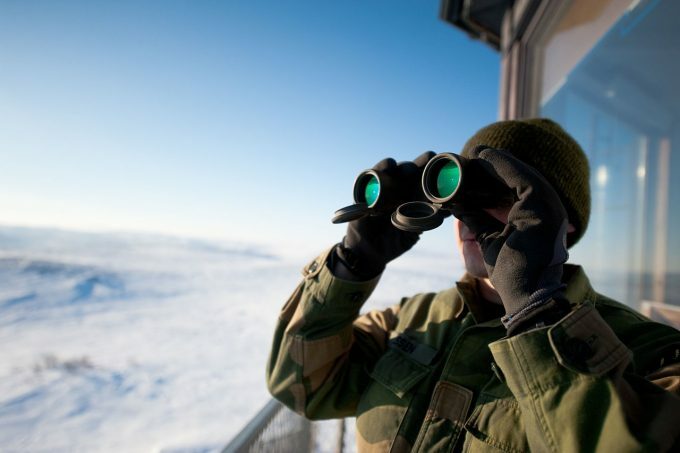 A wider field of view is also preferred for situations where you would need to track fast moving targets. This is a feature that is present in almost all binoculars. They have an adjustment ring that is used to focus one barrel while ignoring the other. This allows proper compensation of sight between the two eyes. The adjustment ring is located either at the right or left the barrel, close to the eyepiece. Some of the light that passes through the lenses in binoculars is reflected away. The reflection ultimately lowers the quantity of light that passes through the lenses and make the image appear darker. To stop this from happening, the lens coatings were put in place and binoculars that have this will produce clear and sharp images. For proper viewing experience, get binoculars that are fully multicoated as they reduce reflections and increase the light being transmitted. This is a very important feature to look out for if you are going to use the binoculars in rain or foggy situations. Binoculars with O-rings create a seal that prevents moisture from entering thus making them waterproof. They also prevent dust and small particles from entering the lenses. 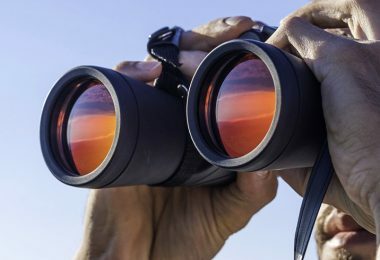 To fully counter foggy situations, binoculars are manufactured with the air inside being replaced by inert gasses that lack moisture and will therefore not condense. This feature protects the internal lens from the fog. Weather-resistant binoculars, on the other hand, might not be waterproof. They are designed to protect the lenses from fogs and light rain but not from heavy ones. So, you have to consider what you are using it for before you purchase one. 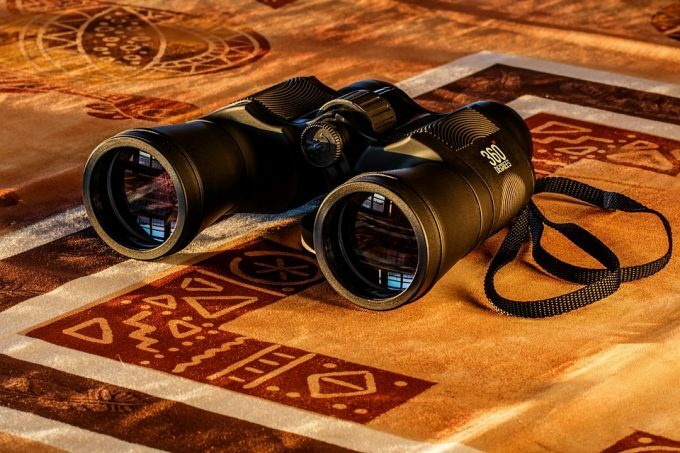 Now that you know the features and what to look for in a binocular, how then do you choose the best binoculars for your needs? There are several factors that come into play in this decision-making process and we will look at them in this section. The first deciding factor is your allocated budget for the binoculars. There are binoculars with varying specs found at many different prices. If you want to go for high-quality binoculars that will have excellent features, then you will have to spend more. A cheaper binoculars will get the job done for you but the pair may have durability and other issues along the way. The magnification of binoculars is very important in relation to the job it will do. 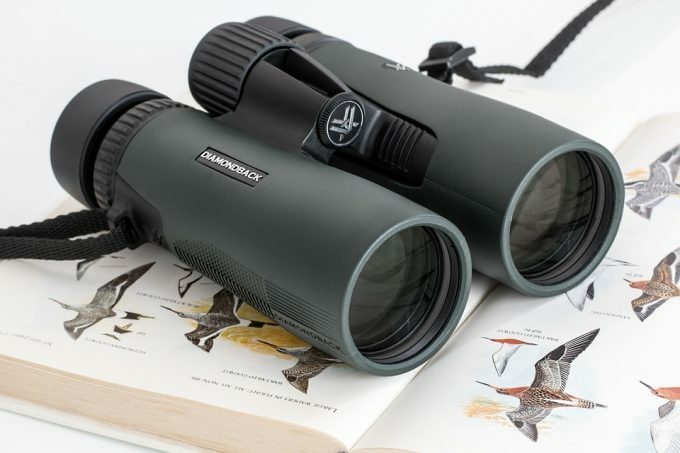 For birding, magnification range between 7x-10x is perfect while you will need a higher magnification if you are interested in getting up close views of birds and other wildlife. The magnification you will choose should also be dependent on the image quality you desire. 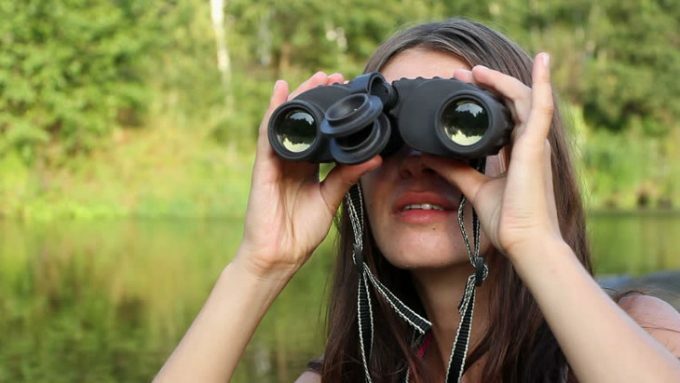 The best way to find the best binoculars is to try out different models before you pick one. Even though they might have the same specifications, the binoculars might have different image quality and other features. Test them out and pick which one is right for you. You can go online and review the product you intended to buy. While at it, you will find other great alternatives thus giving you a better option when purchasing. Never get stuck on one product as there are others that will get the job done for you just as well. The fundamental use of binoculars are the images they bring closer. If the images lack quality, then it isn’t worth buying them. You should look for bright, crisp, true color when buying. Check details like: How well do they resolve details in a backlit image? How true are the colors displayed by the binoculars? How bright and sharp are the images and the bins produced? Most binoculars are average when it comes to this so you have to check them out properly. Find somewhere dark to test all these features before making a decision. 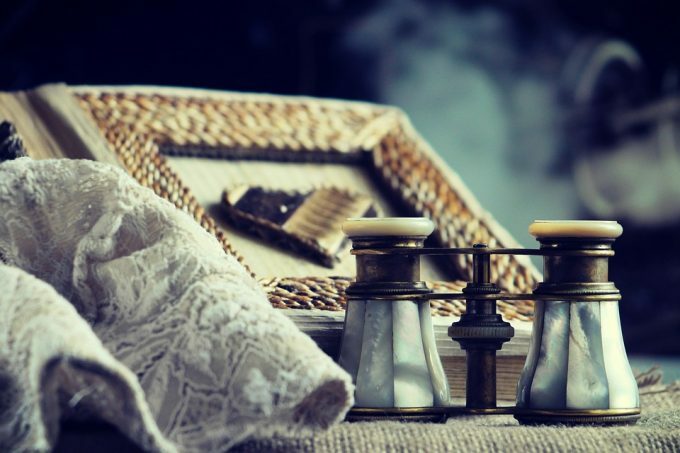 Pay special attention to the Clarity/Crispness score to decide on image quality. This might not seem necessary but it is very important for those who wear glasses.Look for durable, multi-adjustable eyecups so that you can easily adjust them to their minimum positions to ensure adequate eye relief. With this, there shouldn’t be any black rings visible. Review the other optic features of the binoculars before you purchase it. Pay close attention to its field of view and focus. Review its durability, whether it is waterproof, weatherproof or fog proof. Also look out for the manufacturer’s warranties and go for ones that offer excellent warranties. There are several factors that you have to put into consideration before purchasing binoculars. 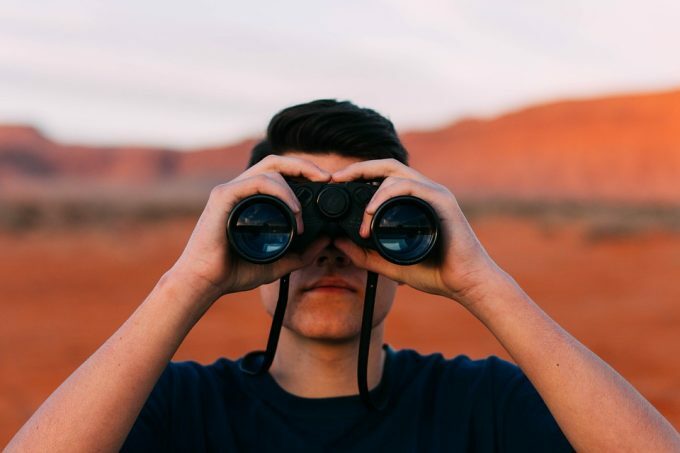 The function, weather situation, budget, your eye condition and other factors will come into play during purchase.Before going for a binocular though, adequate knowledge of the different specs and features of a binocular will be very helpful. 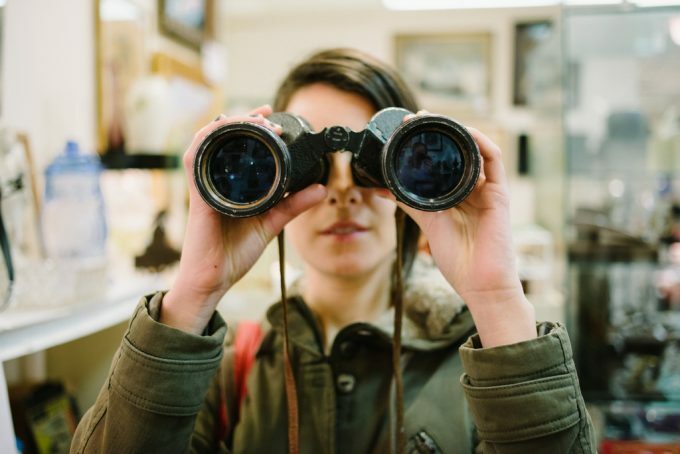 Having this knowledge will help you to buy smart.Follow this simple steps and you will end up with a binocular that will serve well you for a very long time. If you have bought a binocular, you can share with us in the comment box below the experience you have had with it so far and how the decision-making process was for you. If you haven’t purchased one, then this guide will help you get the right one.